It’s nice to know an Italian. They have the goods on traditional recipes and the right way to process a bumper crop of tomatoes. I have such a friend, Jennifer, and this year, fortune smiled on her plants and she started to get WAY more than she could use and process on her own. So she asked if I wanted some. (huzzah) Since that same fortune didn’t happen to fall on my plants this year and my crop looked more like a handful of marbles, I enthusiastically said YES (plus, what crazy person turns down garden tomatoes?!) I was so happy we could finally make our homemade BLTs before the last whiff of summer is completely gone. 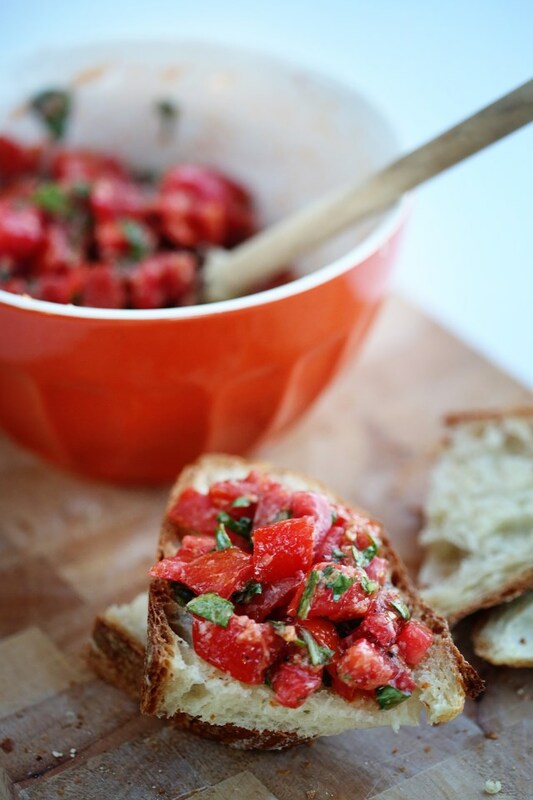 I made a wonderful, basic tomato sauce (recipe coming soon) and canned it for the winter and with the rest of the tomatoes she brought, I saved two for our BLTs and the rest I asked her for her favorite bruschetta recipe. She told me that there wasn’t really a recipe, but that this was how her granddad always made it and those kind of recipes are my favorite, anyway. In the spirit of handing down family recipes, I’m not going to list quantities. I’ll basically give it to you like she gave it to me – the taste and adjust method! 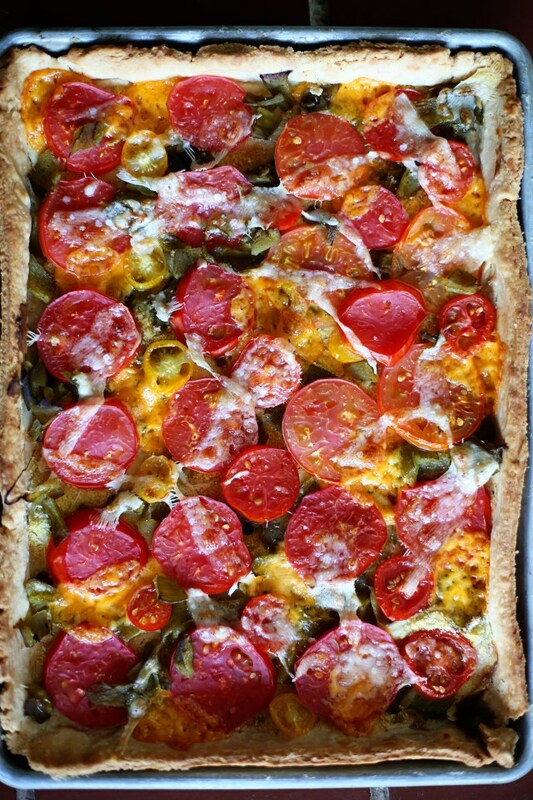 If you have any tomatoes still coming off the vine (as many of us in this region do) then I hope you enjoy this recipe! If your crop is done, then look for the ripest plum tomatoes you can find in the grocery store. 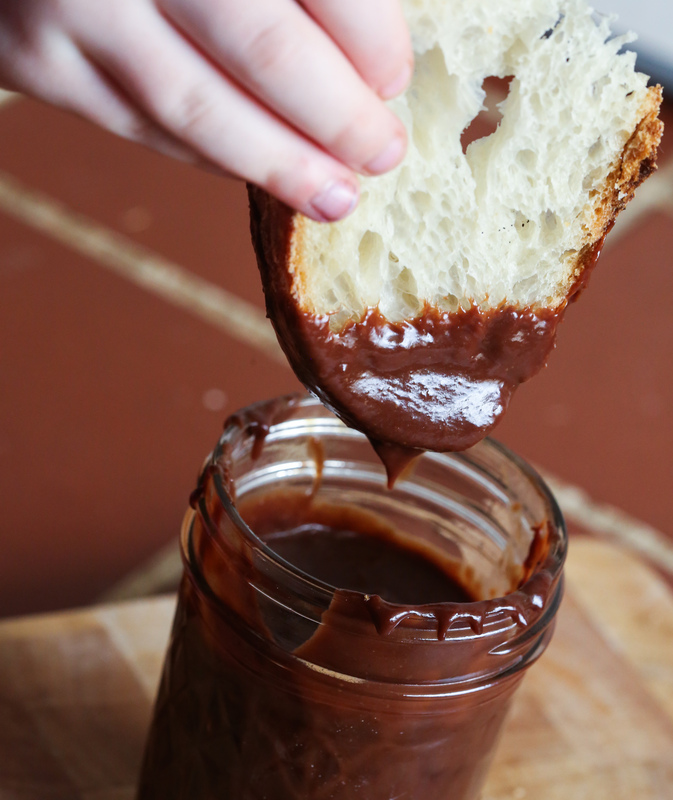 We served this with Matt’s plain country bread, and honestly, it was the best meal I’d had in weeks. Sometimes, nothing beats pure and simple. 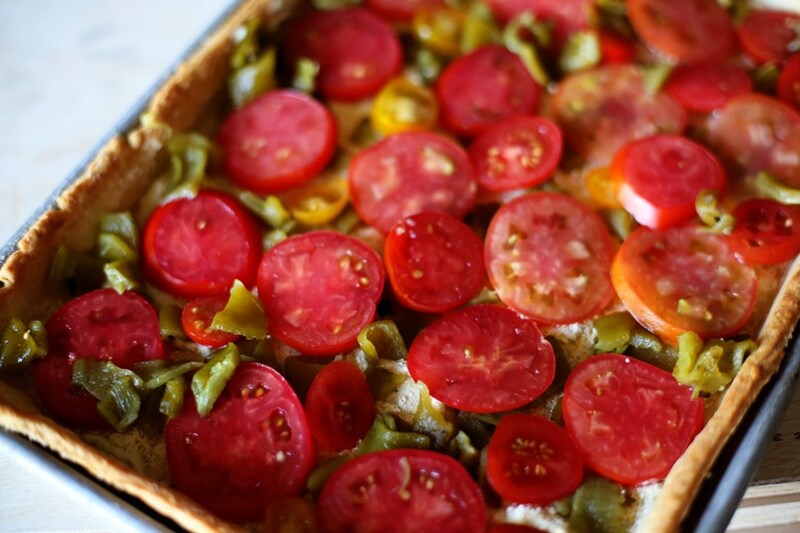 Thank you, Jen, for sharing your tomatoes and your recipe with us – we benefited greatly from both! Dice up a few, ripe, plum tomatoes. Add in minced garlic, a nice pour of good olive oil and add in a handful of shredded fresh basil. Mix to combine and then add in a generous grating of fresh Parmesan cheese and adjust the seasoning to your liking with salt and garlic powder. 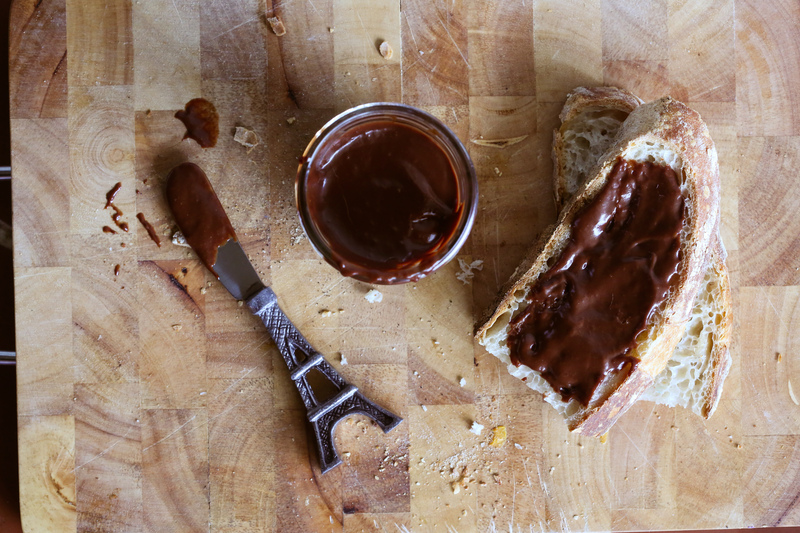 Serve on toasted baguette or just about anywhere you can think to use it! Ah, summer. It’s upon us! 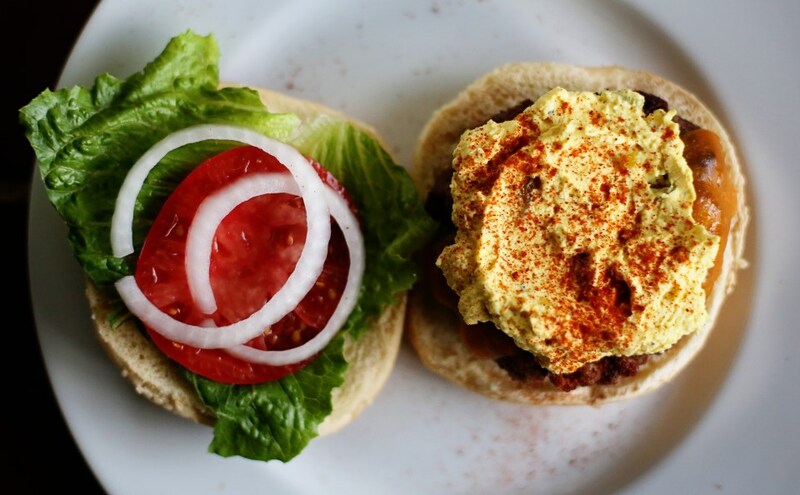 And even though I’m hoping no grilling will get done this weekend due to rain (please, oh please) we have fired up the grill several times already and hope to continue as the months continue to provide us with warm nights and light well into the 9 o’clock hour. 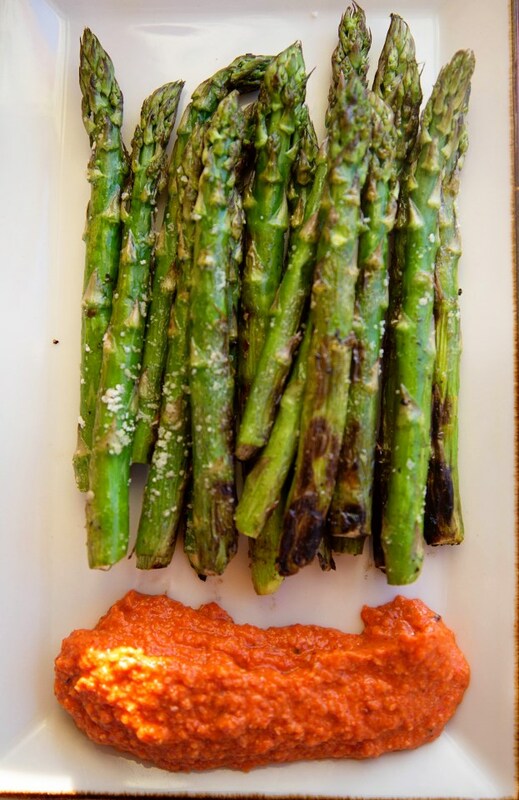 We had a truly noteworthy grilling session last weekend where the star of the show was that tasty little dollop of red pepper puree on the side of the asparagus called Romesco. 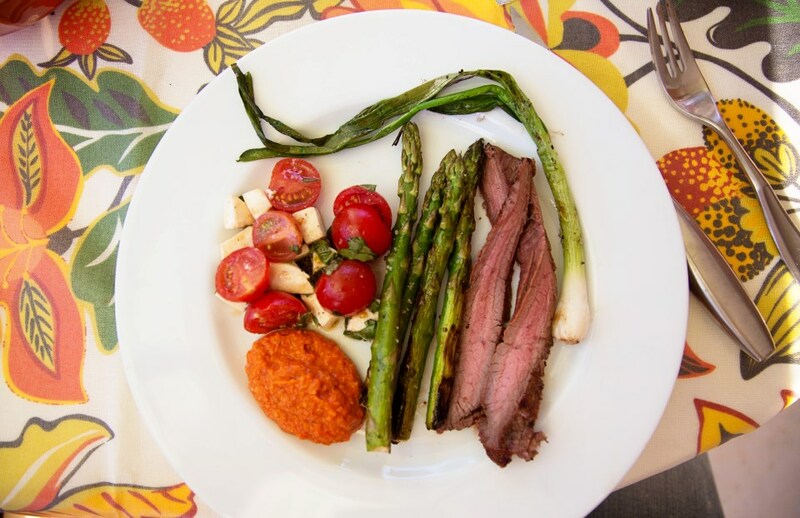 Romesco is a blend of roasted red bell peppers, hazelnuts, almonds, garlic and roasted tomatoes. 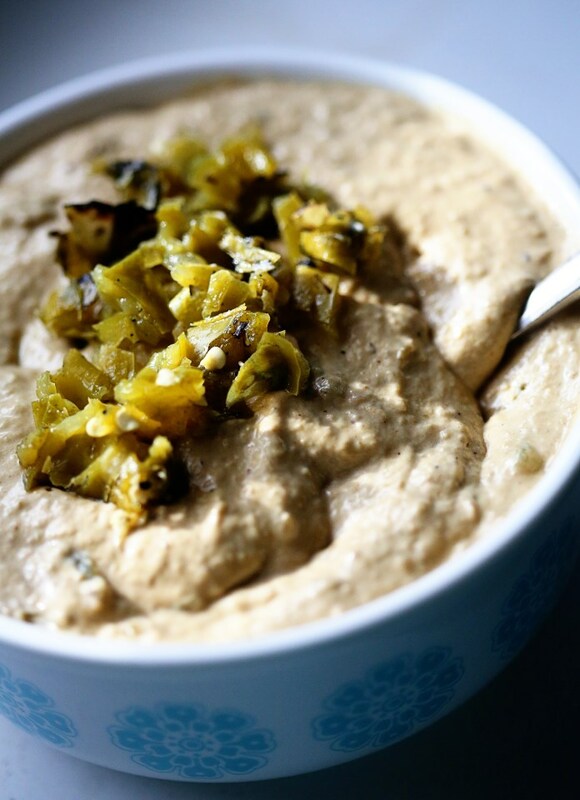 I can’t explain how magical it all is when blended up together, but it is incredible as a topping for a grilled flank steak, a dip for asparagus, or even a spread for the grilled bread I’m hoping you’ll still try! We topped baked potatoes with our leftover romesco sauce this week and I just KNOW it would be fabulous on top of a simple omelet. 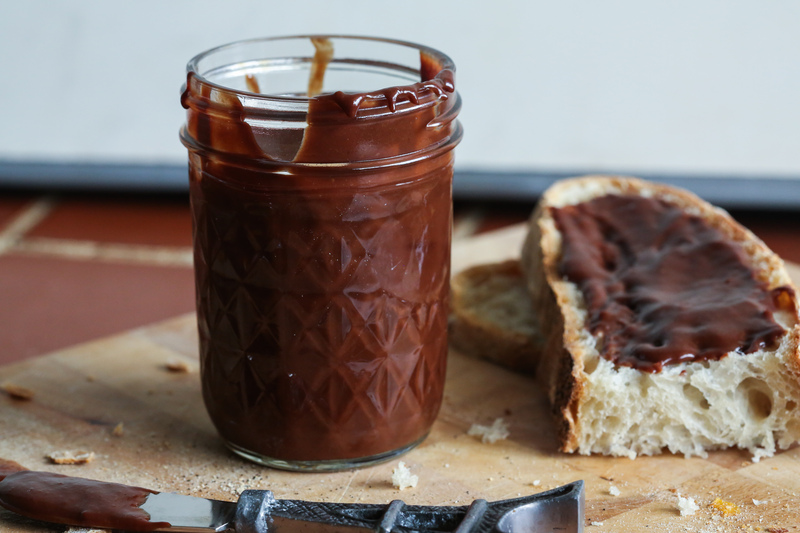 I love a sauce that can be so versatile because it won’t just sit in your fridge, unused. 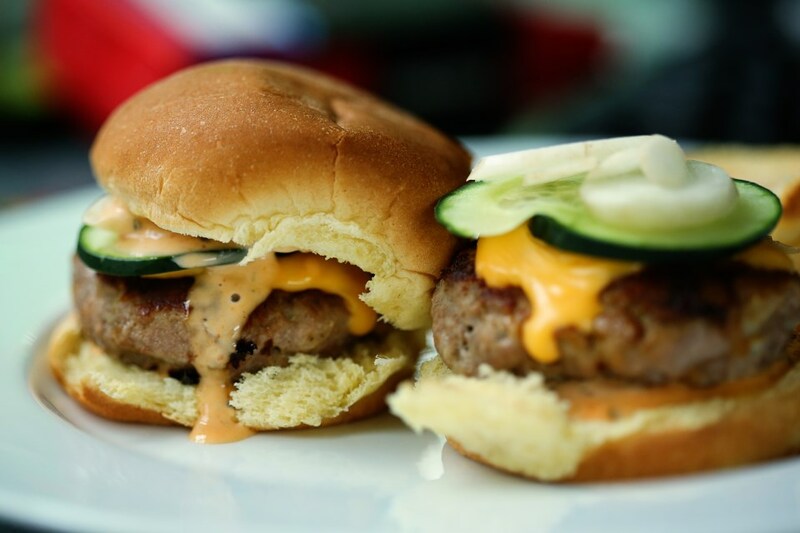 There are literally endless options for this tasty sauce and I hope you will make this for your next summer meal! Preheat the oven to 300F. 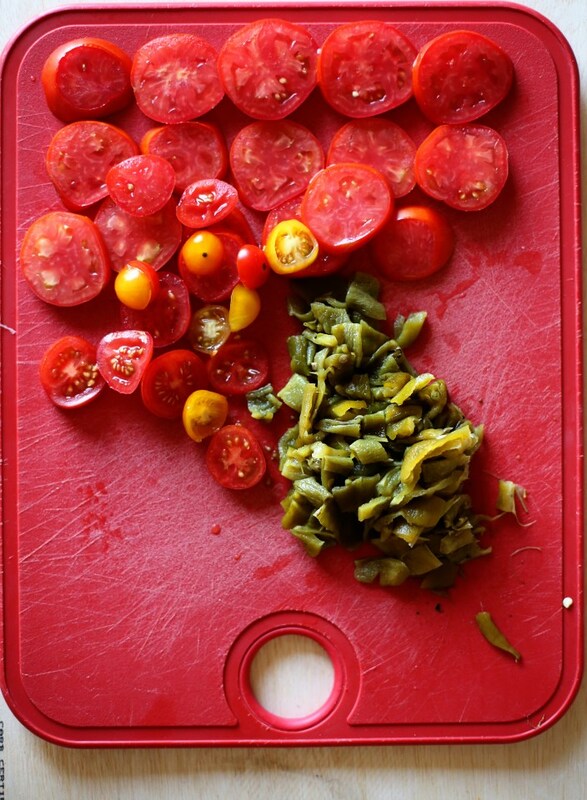 Season the tomatoes and peppers with 2 tablespoons of olive oil, salt and pepper and place on a baking sheet. Bake the cloves of garlic along with the tomatoes and the peppers, until the garlic is soft, (remove them when they are to let the tomatoes and peppers finish) the tomatoes have begun to caramelize and the peppers are tender and beginning to blister, about 1 hour. Remove from the oven, cover the peppers with foil and set aside for 10 minutes, then peel the skin and remove the seeds and veins from the peppers. 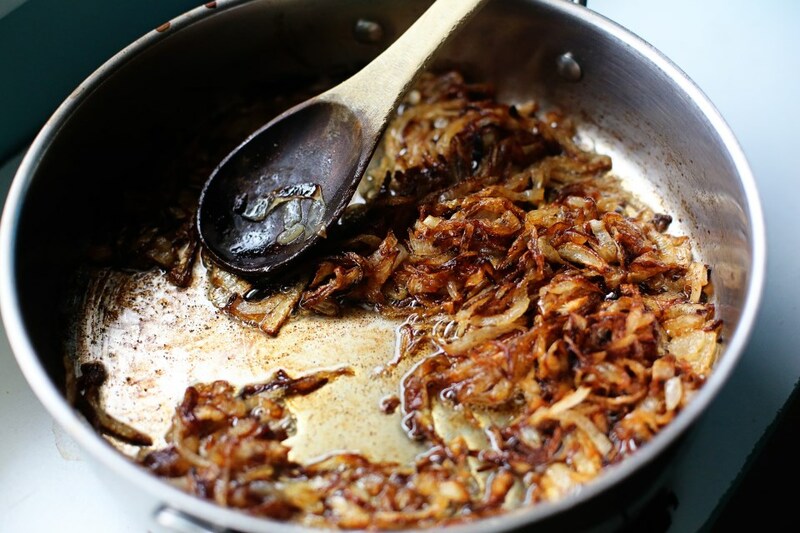 In a small skillet set over medium heat, toast the almonds and hazelnuts with 1 teaspoon of the olive oil and salt. 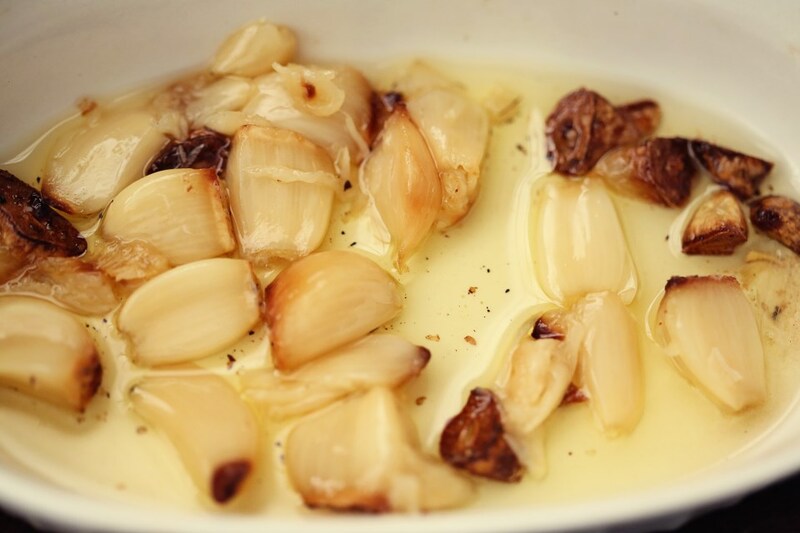 Remove the garlic cloves from their skins. 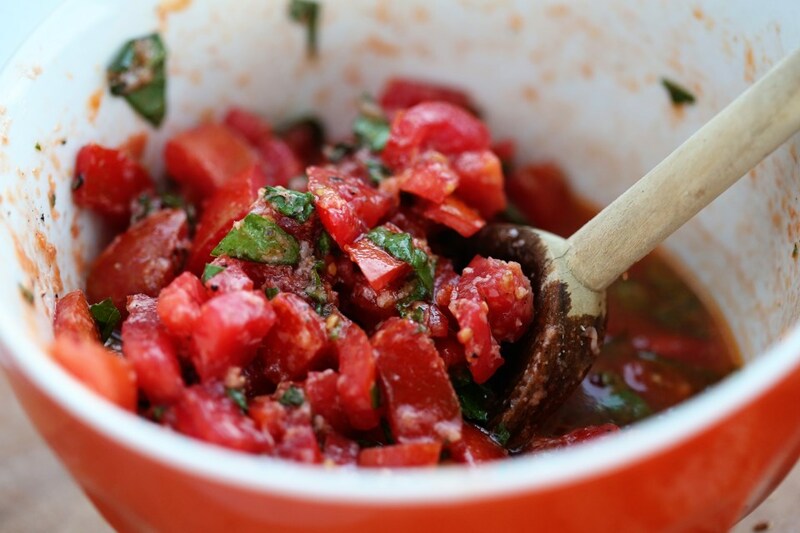 In a food processor, combine the tomatoes, peppers, garlic, toasted nuts and bread. Add the Piment d’Esplette or chili flakes. 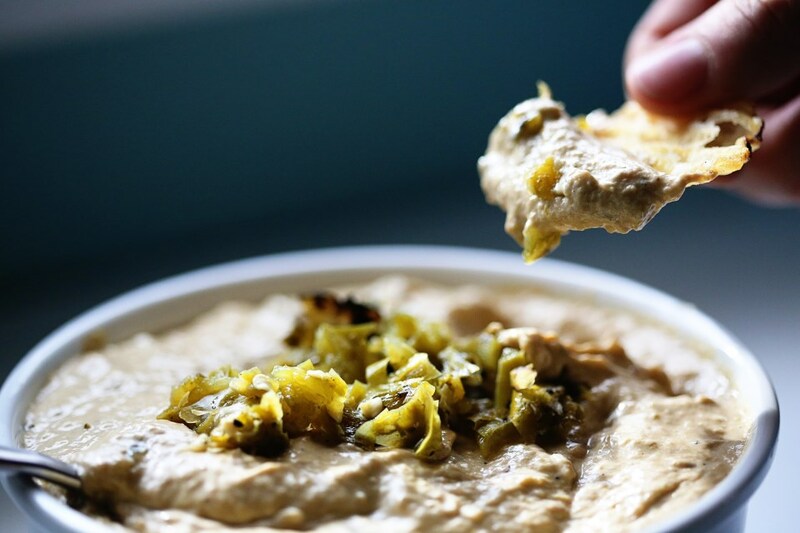 Slowly drizzle in the remaining ¾ cup of olive oil until the mixture forms a smooth paste. Season with red wine vinegar, salt and pepper until it’s to your liking. We added about 2-3 tablespoons of vinegar and added about 2 tsp of kosher salt and some pepper. Puree until very smooth, but the sauce will remain slightly chunky. 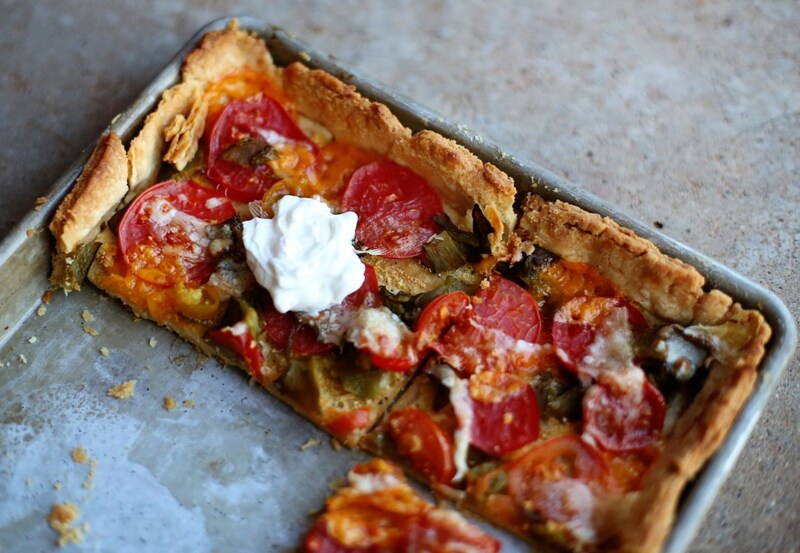 Serve with grilled vegetables, meats, baked potatoes, bread, etc, etc, etc! 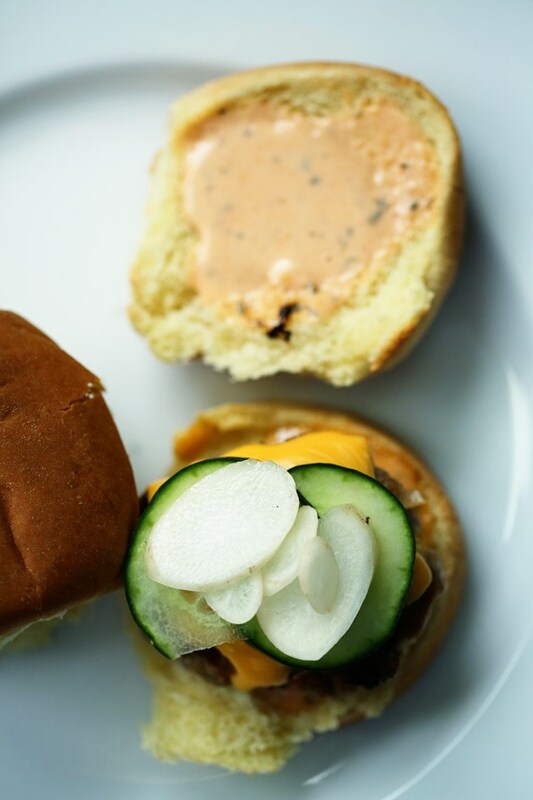 *we combined two recipes from Tasting Table to make our own version. This is an important recipe to have memorized. 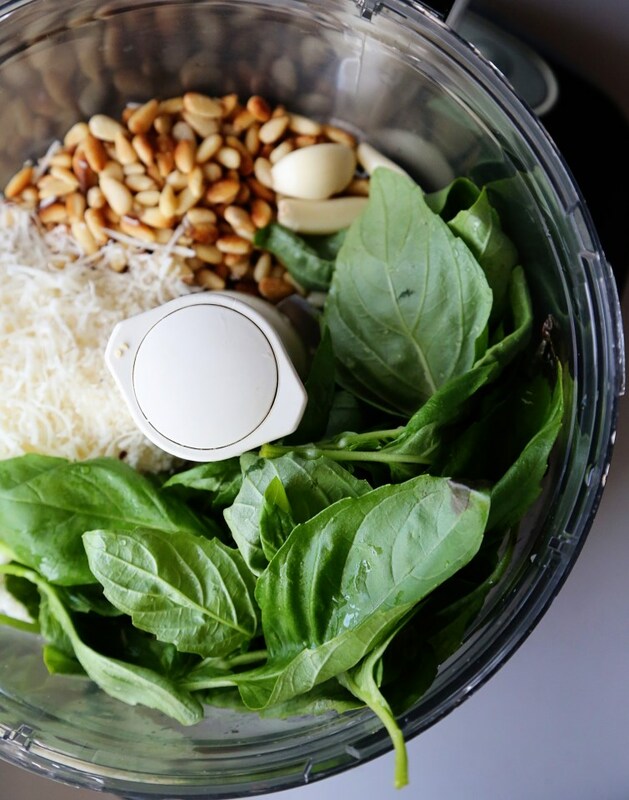 If you know the basic formula, you can make a pesto with just about any green/oil/nut/hard cheese. It’s a great way to dress up a simple pasta salad, a plain filet of fish, or even boiled potatoes for a spin on potato salad. 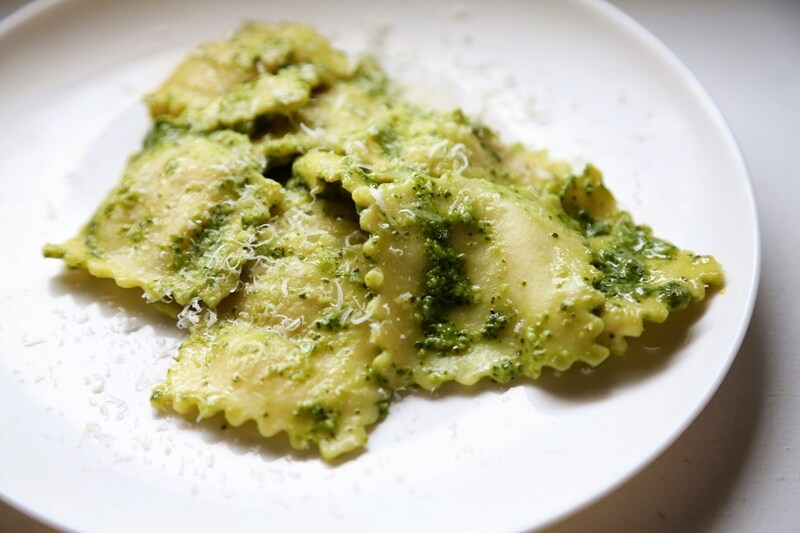 When it’s a pasta-only kinda day around here, pesto somehow makes me feel better about not trying harder to dish out variety. I think, “At least Olive is eating something green and different on top of her pasta.” While that may be the dinner equivalent to justifying nutella as a “healthy” snack, I’m sticking with calling pesto healthy. In moderation. The stuff is mostly olive oil. But I think if it’s used as a garnish, it’s just fine and a little goes a long way, anyway! Put everything except the oil in a food processor and turn it on. While it’s whirring around, gradually drizzle in the olive oil through the open chute of the processor lid. Let it process for about 30 seconds and then open and taste for salt and pepper. 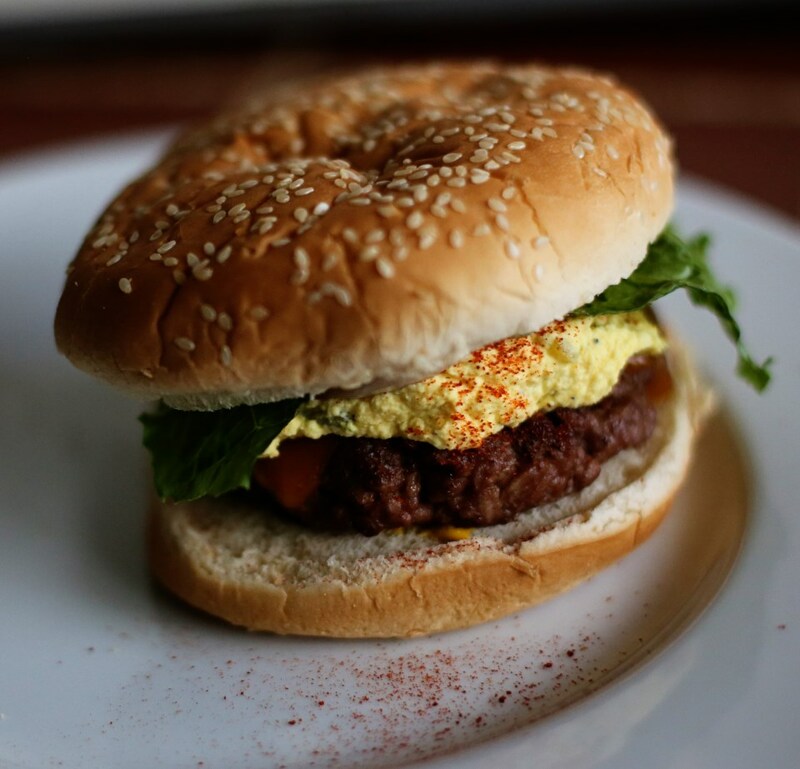 I end up putting about a teaspoon of kosher salt and a few grinds of fresh cracked pepper to mine. 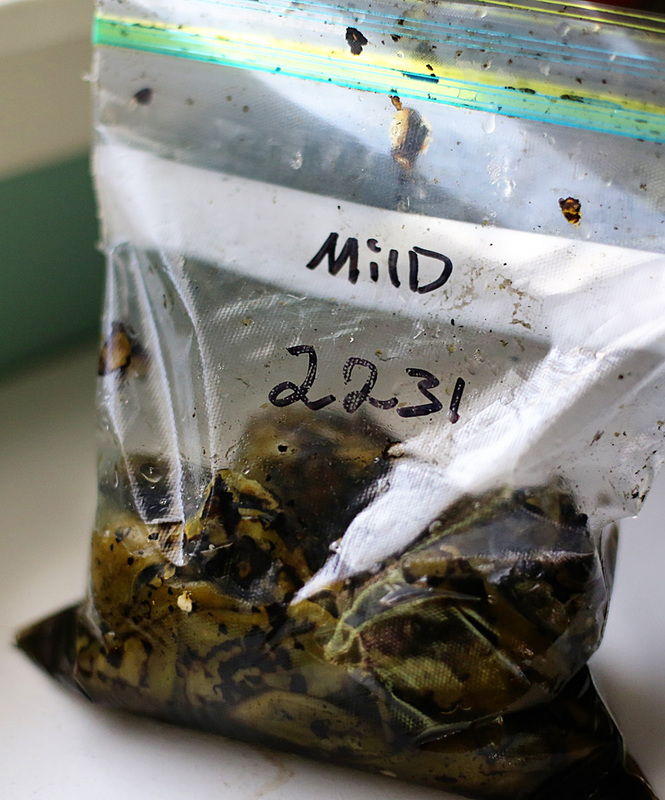 Pesto will keep on the counter for about a week or in the fridge for 2-3 weeks. 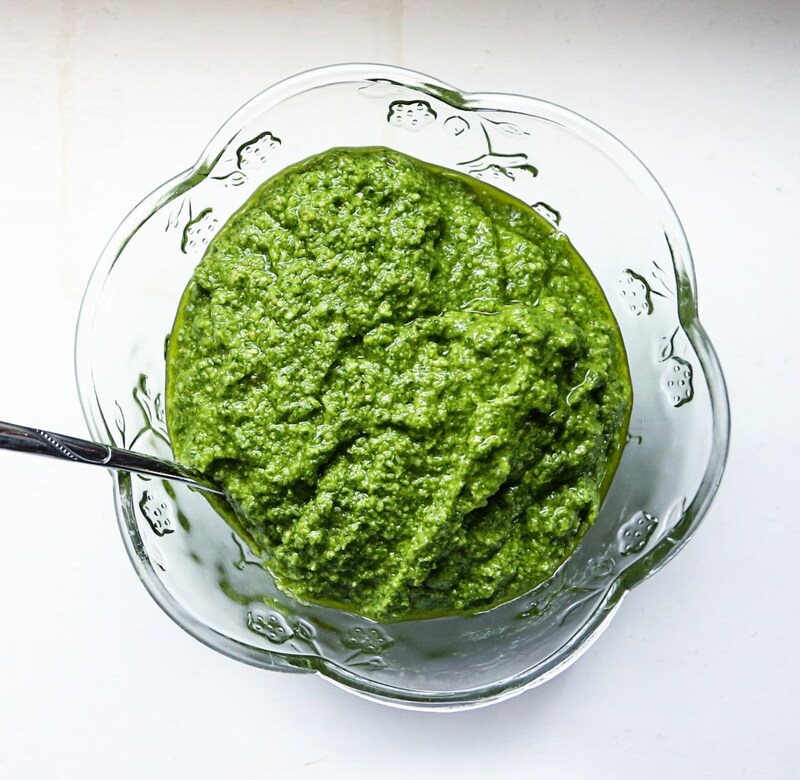 The top of the pesto will turn brown, but it can simply be scraped off before use. Pressing a sheet of plastic wrap on its surface helps with the oxidization, too. This week is so busy with all the prep for our fundraiser dinner for Carpenter’s Church! So, instead of an involved recipe, I decided to give you a simple kitchen basic that I have made about fifteen times in the past twenty-four hours as a topping for the banana bread pudding I’m doing for the dinner tomorrow. 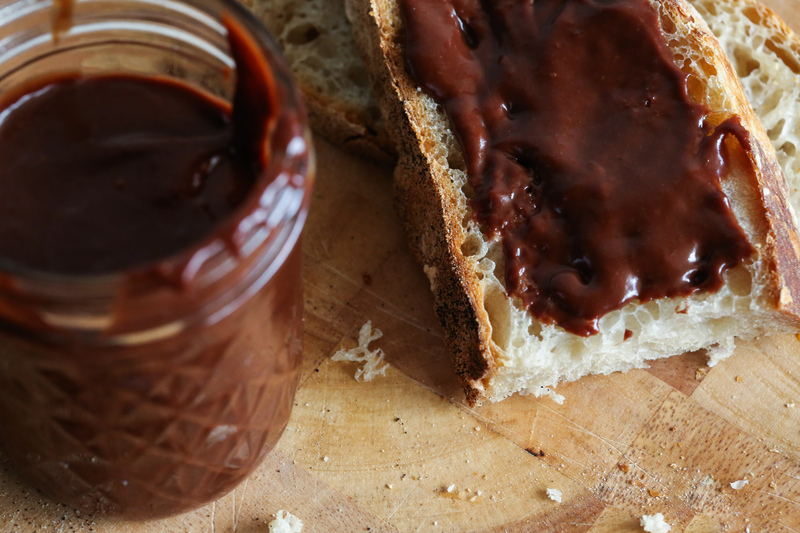 In a large saucepan over medium heat, add the sugar and water and stir with a spatula to fully incorporate. Put a lid on the pot and let it come up to a simmer. 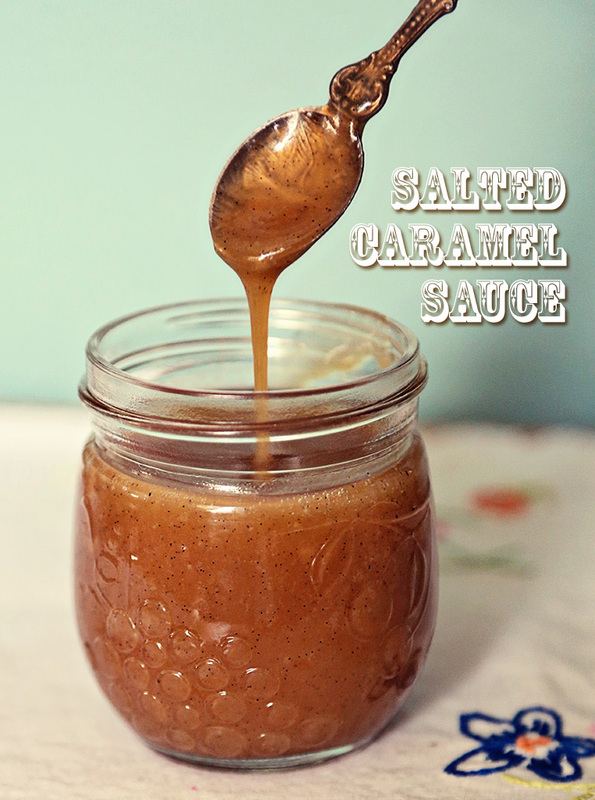 Have you ever read recipes that tell you to brush the sides of your pan with a wet basting brush to keep sugar crystals from forming while making caramel? No more! That’s tedious and I don’t like getting my fingers that close to boiling sugar. The lid creates condensation that drips down and keeps all the sugar in place, instead of creeping up the sides like it will if the lid’s off. Swirling occasionally while cooking, check for the color. When it develops a nice golden amber color, remove it from the heat and stir in the heavy cream and vanilla. This will bubble furiously, but just whisk, whisk, whisk until it calms down. Add the butter and whisk to incorporate. Then, add the salt and stir until dissolved. Let it cool and taste test for salt level. Store in jars on the counter for a week or in the fridge for a month. We have plenty of days where our house smells like baking bread, but I don’t have that smell of garlic roasting near enough. Roasting garlic turns the garlic into an almost caramelized, savory paste that softens the intensity of raw garlic, mellows out the flavor and makes it perfect for dressings, soups, pasta dishes, breads, and that doesn’t even include the wonderful uses of the garlic oil that is produced from the roasting process. Garlic oil=liquid gold. 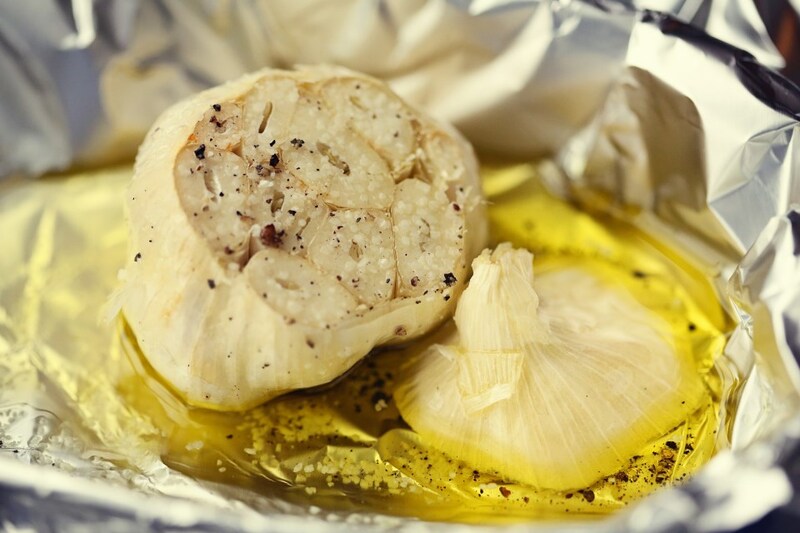 So today, in the first of my series on cooking basics, I’ll show you my process for roasting a head of garlic and then below, a simple recipe for garlic aioli that can be used on sandwiches as an amazing spread alternative to mayo! 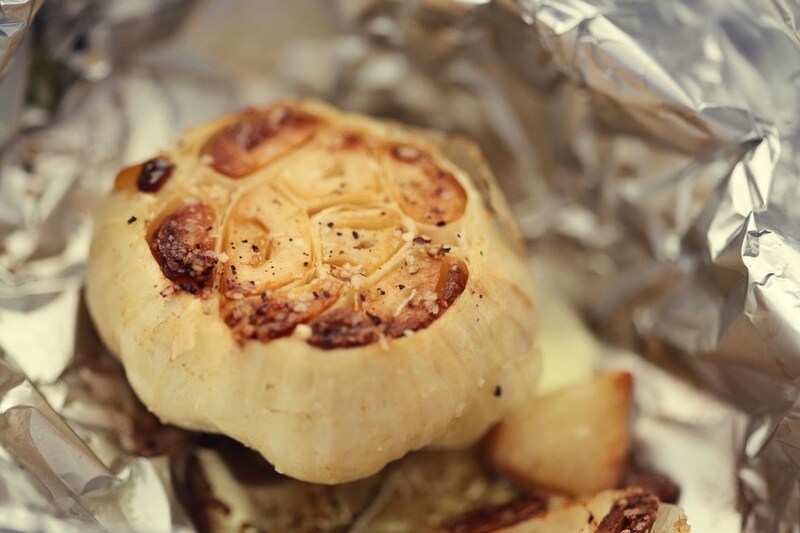 First, lop off the top of a head of garlic and place in a large piece of tin foil. Put that little package in a small dish to catch leaking oil. Generously salt and pepper the cut tops and drizzle with about four tablespoons of oil. 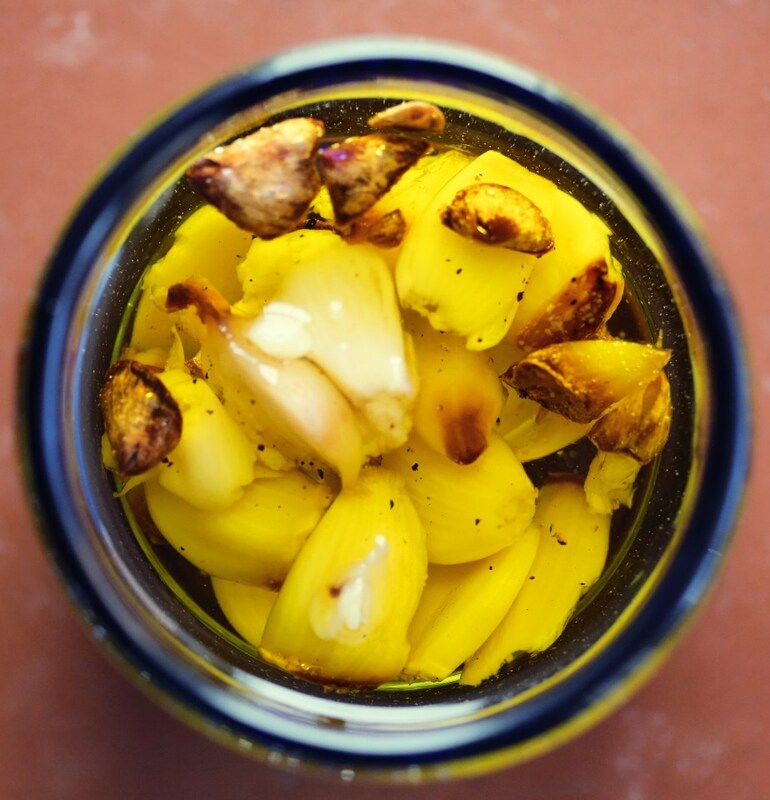 Place the cloves in a jar and fill up with oil to cover the cloves. 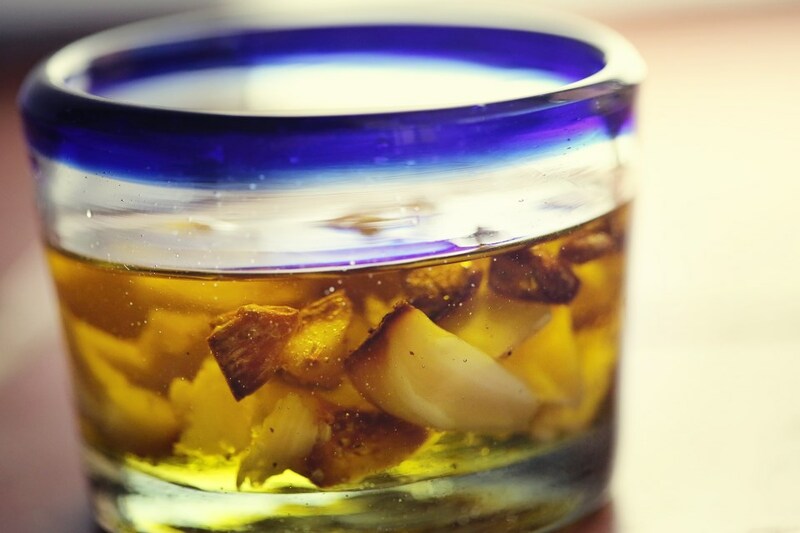 This allows your oil to become infused with garlic-goodness and it keeps the garlic cloves from drying out. Store on the counter to use for anything you can think of! 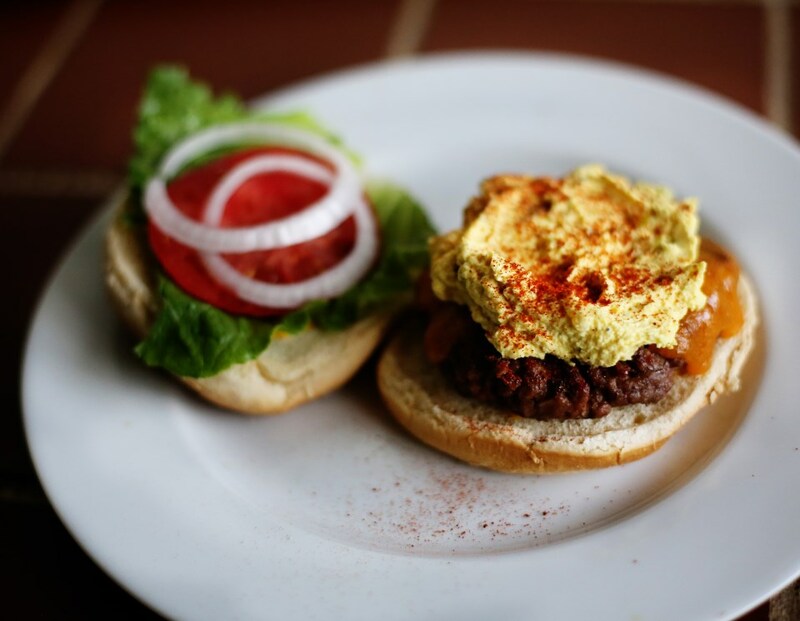 We use the oil to make a quick aioli to spread on burgers, sandwiches, or as a dip for roasted potatoes – heaven! Place the egg, lemon juice, salt and pepper in the bottom of a tall immersion cup. Add the oil and submerge your immersion blender to the very bottom of the cup. Turn the immersion blender on and slowly lift as you blend. The oil will combine with the rest of the ingredients and by the time you get to the top, you should have a smooth consistency. If you are using a basic blender or food processor, add the ingredients except for the oil. Turn on the blender and then slowly stream the oil until all the oil is added. Adjust the seasoning with salt and pepper and keep in an airtight container in the fridge for up to two weeks. But it probably won’t last that long!